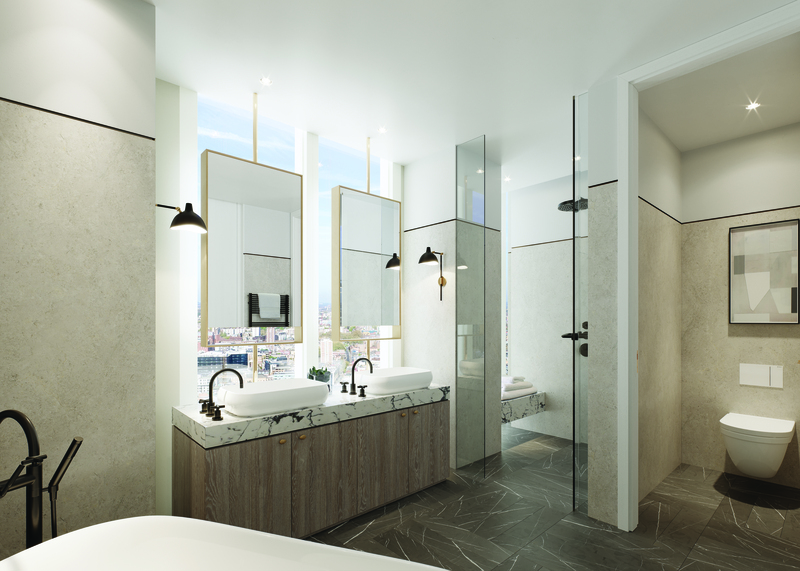 One Crown Place, a major new £500 million mixed-use scheme, has had nine apartments designed by Studio Ashby, to be completed in 2020. Led by its creative director, Sophie Ashby, Studio Ashby creates honest spaces with a unique identity and timeless feel. Sophie Ashby is half-South African, half-English and grew up between Stellenbosch (Cape Town) and the UK. Sophie broadened her design vocabulary through a BA in History of Art at Leeds University, going on to study Interior Design at Parsons, New York. Sophie founded her interior design and creative direction practice, Studio Ashby Ltd, in 2014. Based in Notting Hill, Studio Ashby has flourished into a team of twelve and continues to grow. 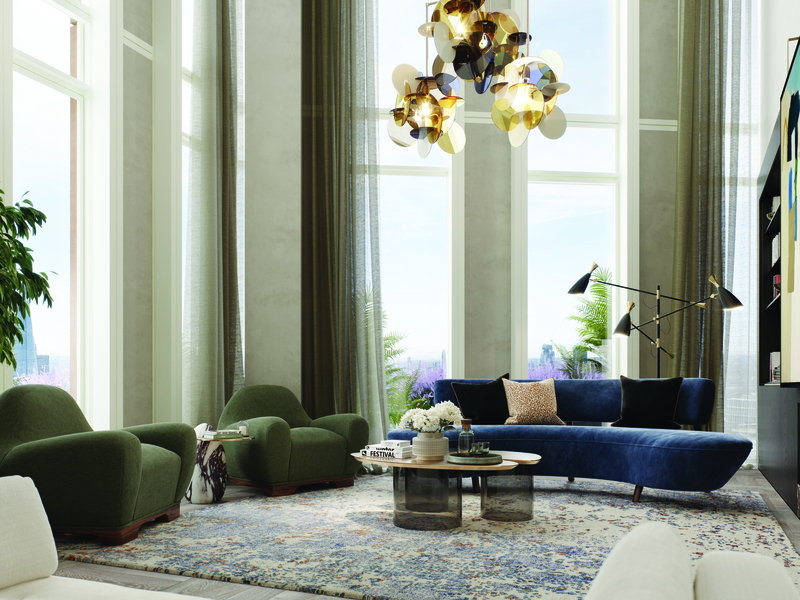 Studio Ashby’s diverse roster of projects include a luxury boutique hotel in South Africa, a penthouse in Battersea, a rambling country house in Somerset for the actress Gabriella Wilde and a development in Mayfair with Native Land. 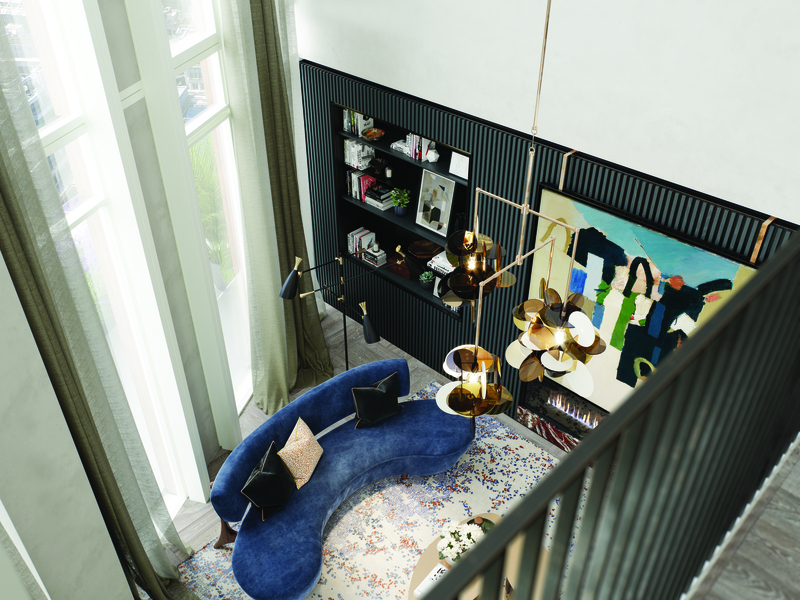 The Studio was shortlisted for the International Interior Designer of the Year 2015, 2016 and 2017. Sophie is also a Young Patron of the Royal Academy of Arts, a Decorex Ambassador and guest speaker at Central St Martins. 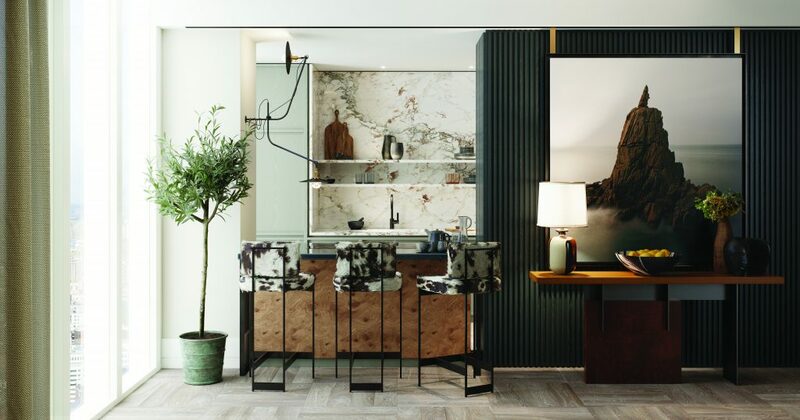 Studio Ashby recently unveiled the designs for the interiors of nine exclusive apartments at One Crown Place, London’s new landmark destination. One Crown Place is a major new £500 million mixed-use scheme on the edge of the City of London and Shoreditch by AlloyMtd and appointed development manager CBRE. Designed by award-winning international architectural practice Kohn Pedersen Fox Associates (KPF), the development is set to deliver a total of 246 private apartments, a boutique hotel, 150,000 sq ft of premium office space, retail units totalling 7,000 sq ft, and a historic Georgian terrace that will be fully restored as part of the scheme. Located in London’s Sun Street conservation area, One Crown Place is an ‘urban island’ whose buildings are a microcosm of historical and modern South Shoreditch, minutes from both Liverpool Street and Moorgate stations. Inspired by the City’s historic past, the interiors combine modern luxury with handcrafted tradition. 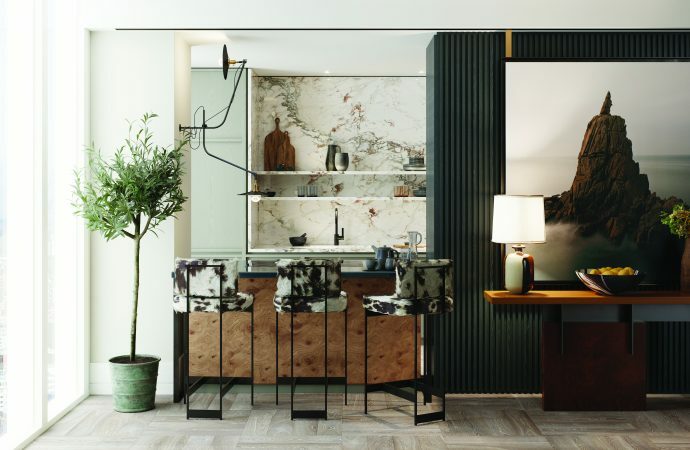 Joining three key sensibilities, curating, collecting and commissioning, Studio Ashby has created an aesthetic inspired by the imagined homeowner, an individual interested in the arts and a love for the rich history of East London. Located on the fringe of Hackney, an area known for its eclectic mix of local creatives and artists, the interiors evoke a strong-sense of place and personality. Studio Ashby’s love for beautiful objects is made apparent throughout, using a carefully-curated selection of memorable touches showing traditional craftsmanship. 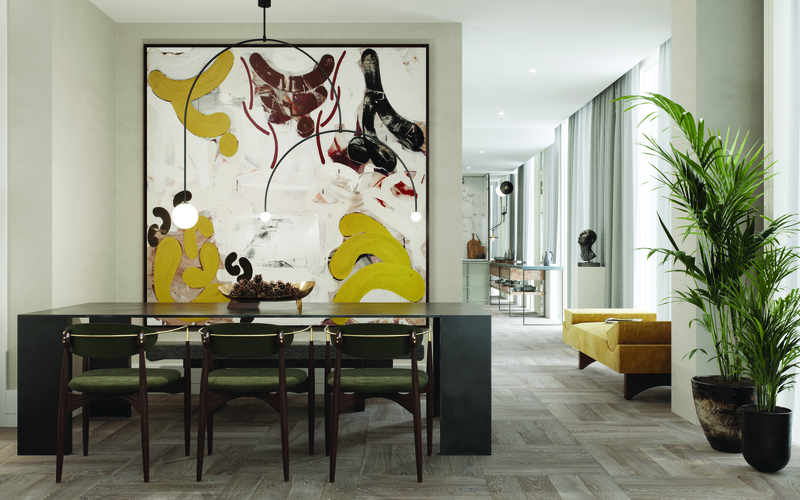 To inject the apartments with a strong creative energy, Studio Ashby commissioned potters, painters, wood turners and marble splicers to create a unique environment that blends seamlessly with the outside environment. The natural based palette is layered with muted Georgian tones. Bolder colours come from the surrounding furniture and artwork whilst the walls are adorned with a selection of art sourced from local galleries and artists, lovingly curated and forming a look that appears to have been established over time. Inspired by the straightforward aesthetic of the basket weave, the studio has reimagined the design in a modern parquet flooring finish throughout the apartments and communal amenities. Studio Ashby used an array of different marbles throughout, exposed in their natural form. 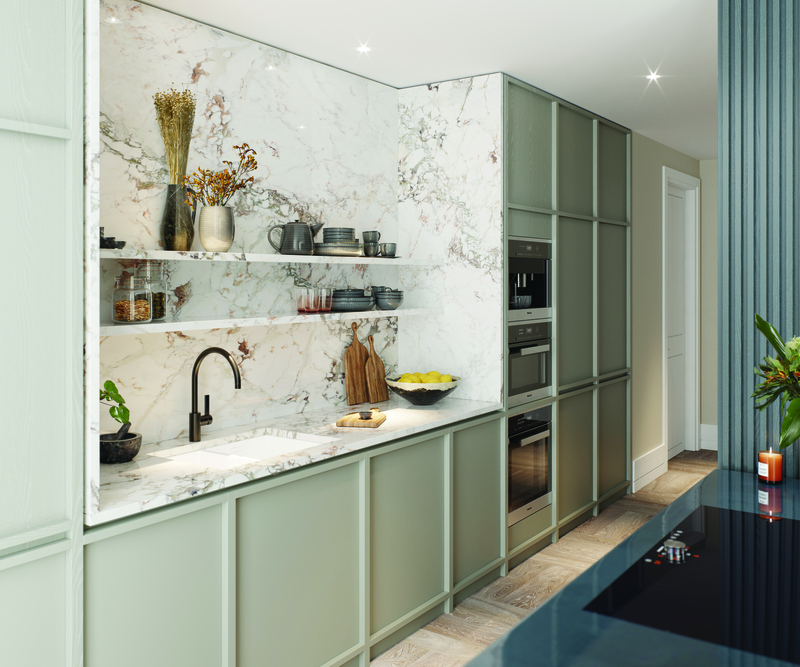 One of the standout elements of the scheme is the integration of crafted tactile finishes and practical kitchen design. The studio used pyrolave glazed volvic lava and pippy elm to adorn each kitchen island, fusing the raw and refined. 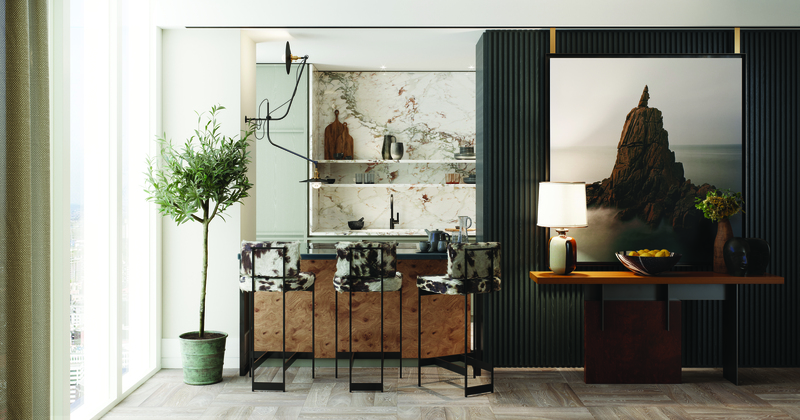 In the centre of the master en suite, rich, Verde Antique marble has been set alongside muted polishes plaster and natural Atlantic stone. In the planning, Studio Ashby has worked with KPF’s dynamic architecture and floor-structure to preserve the wide vistas, keeping the façade free of built-in joinery. This has worked to strengthen the connection between the interior and exterior, both visibly and through the design. Kohn Pedersen Fox Associates is an international architecture practice with offices in London, New York, Hong Kong, Shanghai, Seoul, and Abu Dhabi. Since its foundation in 1976, KPF’s extensive portfolio has included urban masterplans, public infrastructure, airports, offices, and civic buildings in more than 40 countries. Earning the firm recognition as one of the most respected architectural design practices in the world, KPF has received numerous prestigious awards on the basis of their design excellence, innovation, and intricate schemes. One Crown Place, London, was designed by Studio Ashby and will be completed in Summer 2020.